Welcome to the October PTI Blog Hop! I whipped together a quick card today for the hop that I wanted to share with you! The theme was to choose a non-traditional color combo to make a Christmas card with. I figured that if the colors were going to be non-traditional than I was also going to make the stamps non-traditional too! Being from Kansas, I have always had a love for Sunflowers! Oh, how I LOVE to see them blooming in the fields and in the ditches. Some people say they are weeds, but all I see is beauty! So for this card, I decided to take a different approach with my Simle Sunflower stamps and this is what came to be! I started with the Stitched Mats: Rectangle die from Lil' Inker Designs to make my image mat. Then I stamped away with the colors that I chose to work with. I really like how it turned out (I just wish I could photograph the gray cardstock a little better). 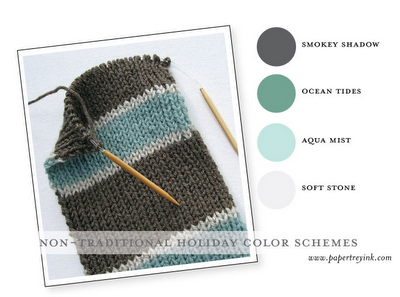 I used the Simple Stripes impression plate, which I love, on the Smokey Shadow card base. Thanks for stopping by today! I can't wait to check out the other projects in the hop! Hey!! I have a card to share with you that I made using some of the latest products from Lil' Inker Designs! I got out my patterned paper pack from My Mind's Eye, the Tangerine collection and cut away! These party hats are so much fun to mix and match with! I used both patterned and solid papers to cut the hats out and then mixed and matched the papers that I layered underneath to show through the polka dots. It is so fun to layer the party hats! And all those little pieces you can add to the tops and bottoms of the hat...fun!! I love that sentiment from the You're Invited set too! So cute! The top of the card features the new stitched sentiment flag die. Thanks for joining me today! I hope you enjoyed this card!